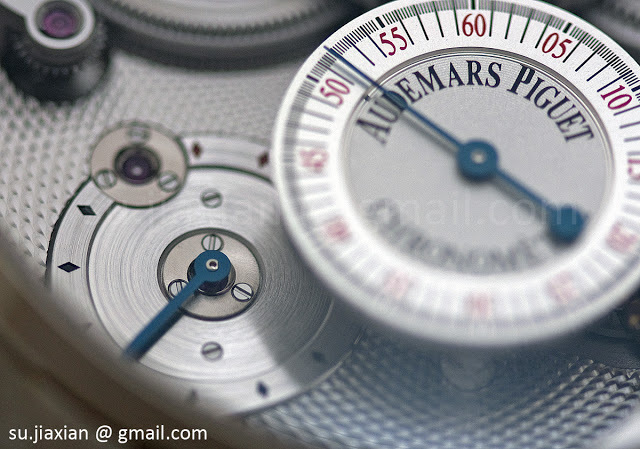 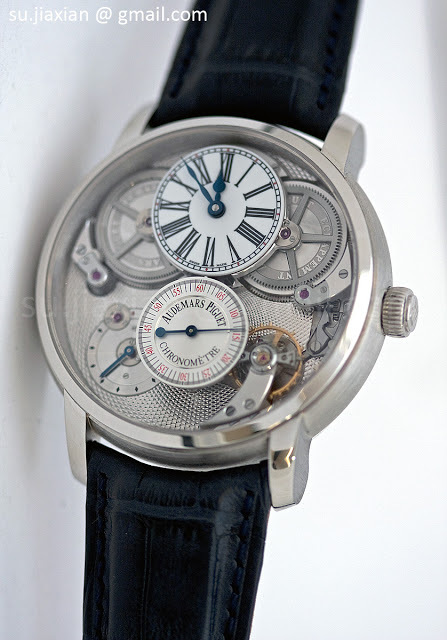 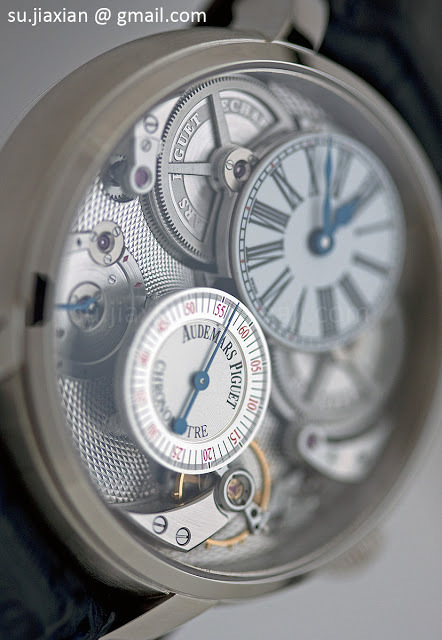 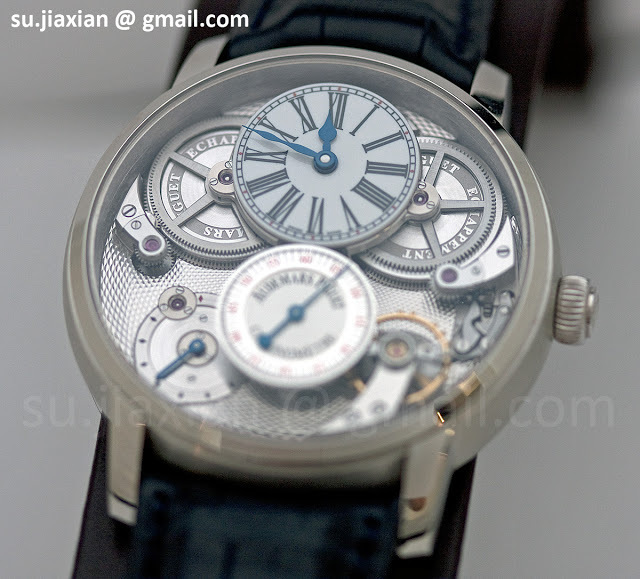 Unveiled at SIHH 2009, the Audemars Piguet Jules Audemars Chronometer with Audemars Piguet Escapement, nicknamed ChronAP, utilises the in-house Audemars Piguet escapement, an ultra-high beat escapement running at 43,200 beats per hour or 6 Hz. 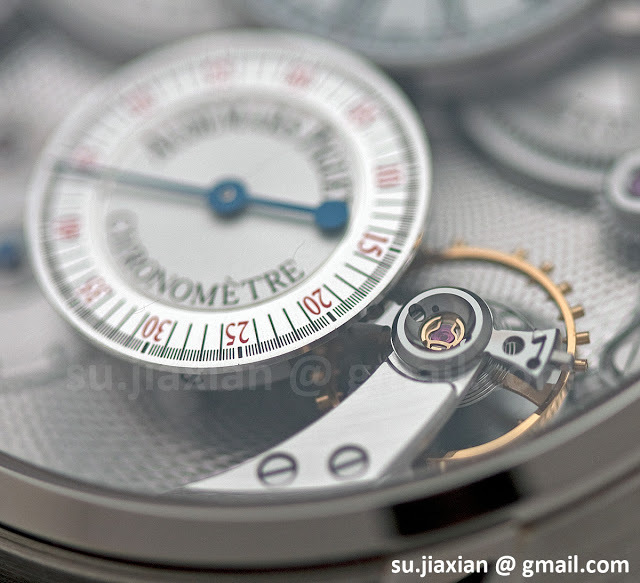 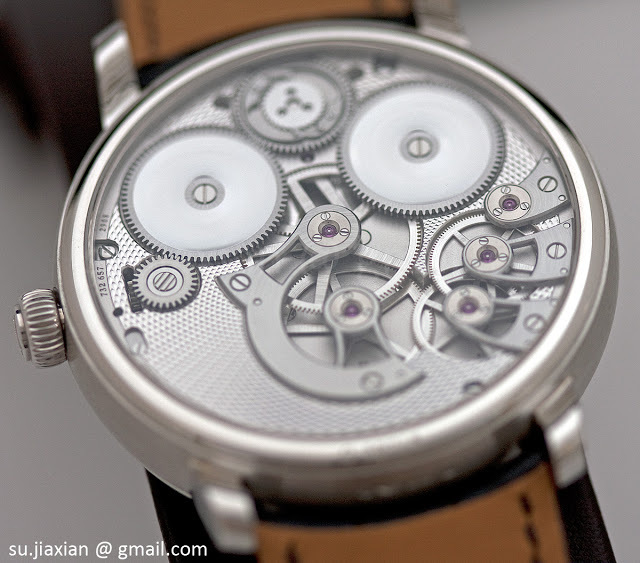 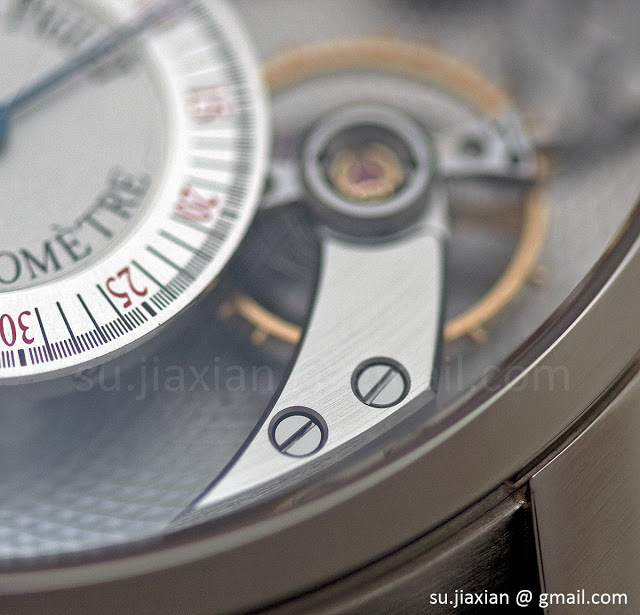 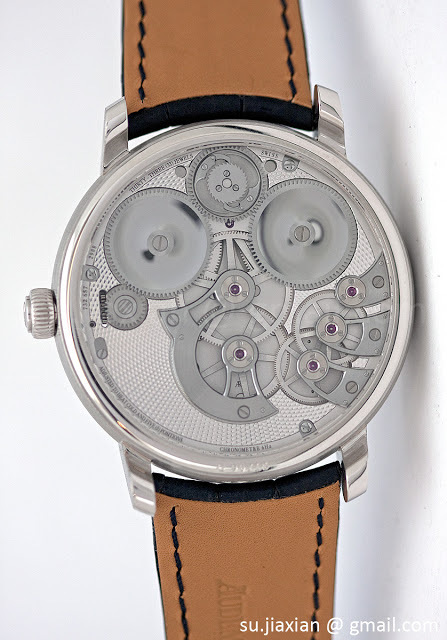 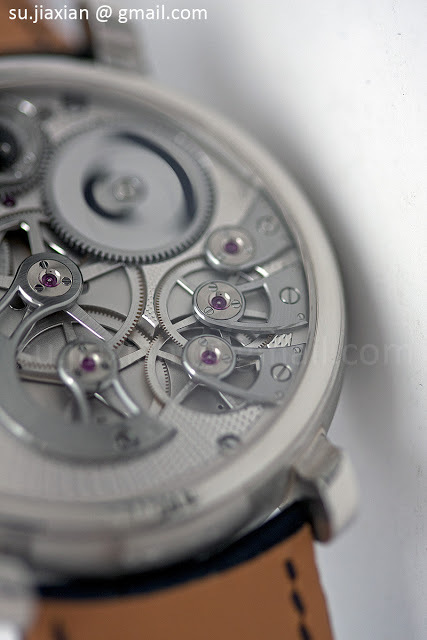 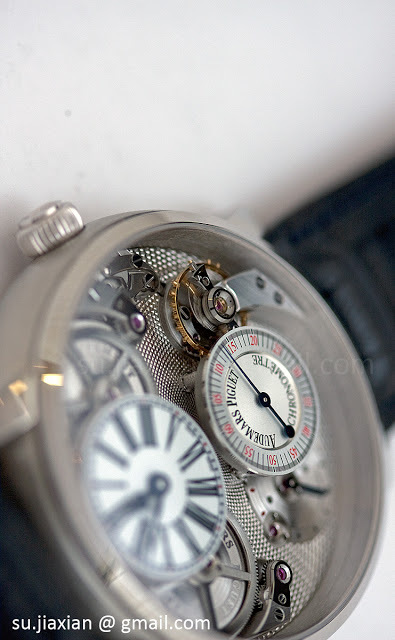 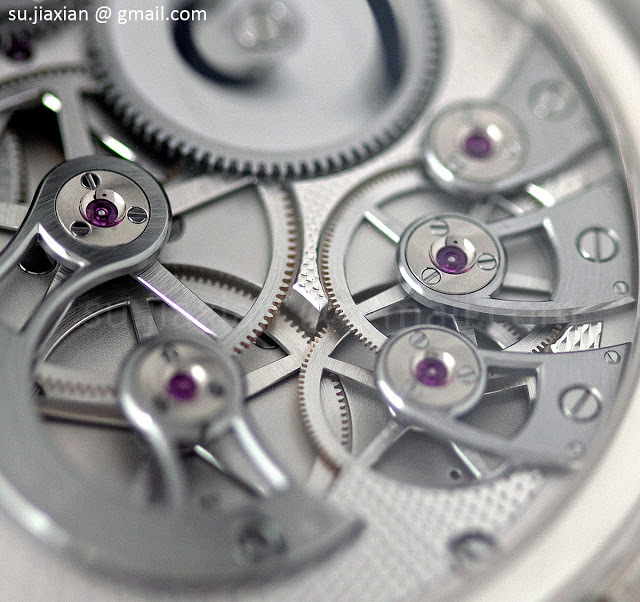 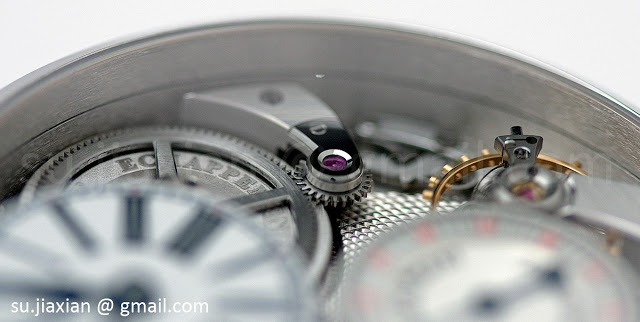 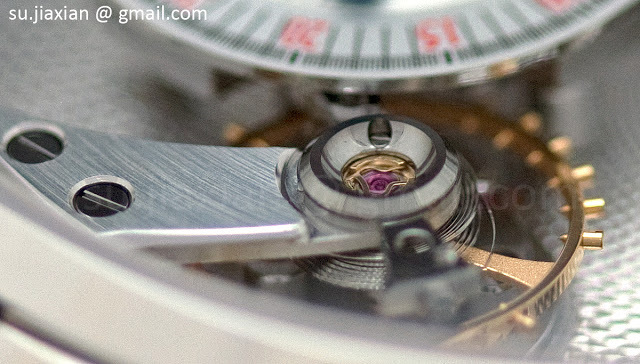 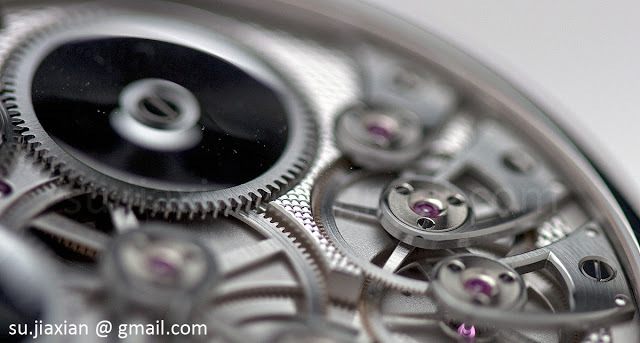 Not only is it high beat, but the escapement is also lubrication free. 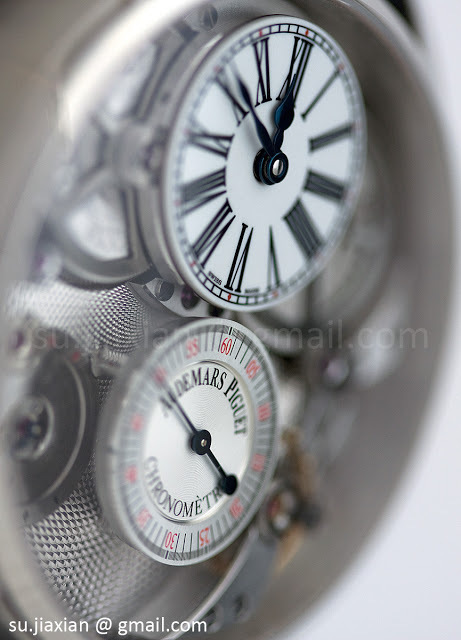 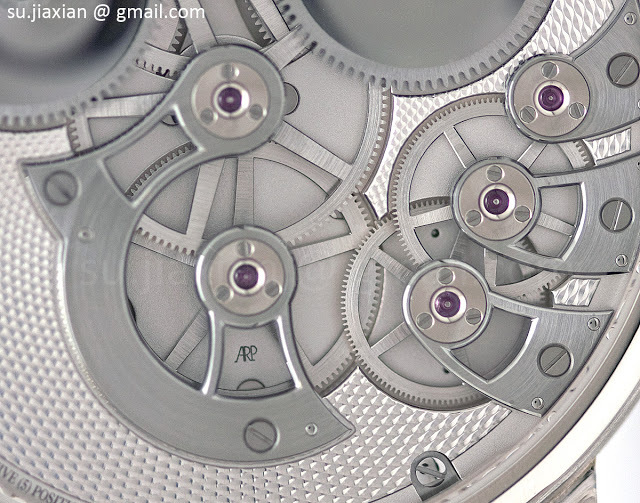 Conventional escapements run at 3 or 4 Hz and all other things being equal, a faster beat escapements does provide better timekeeping than its slower beat counterpart for a variety of reasons. 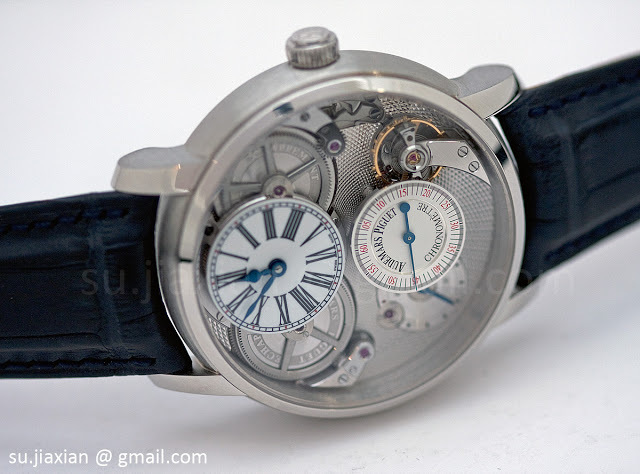 This watch is interesting not only for the escapement but for the movement layout, which is open and architectural; reminiscent of the Breguet La Tradition. 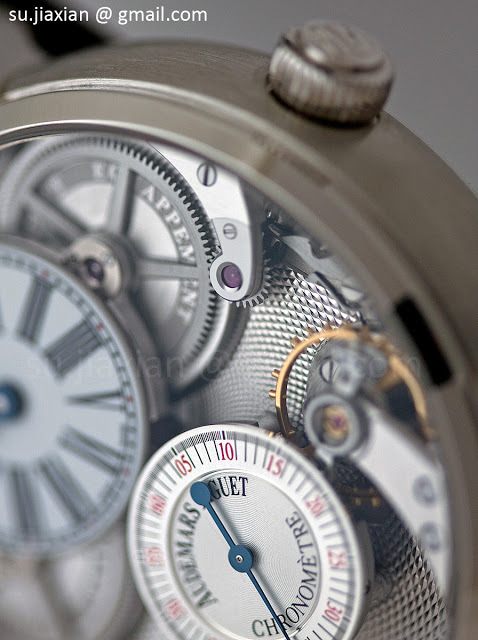 Many of the movement components clearly take their cues from vintage pocket watches, for instance the elegantly curved bridges or the sprung ratchet wheel like those found on a grande sonnerie. 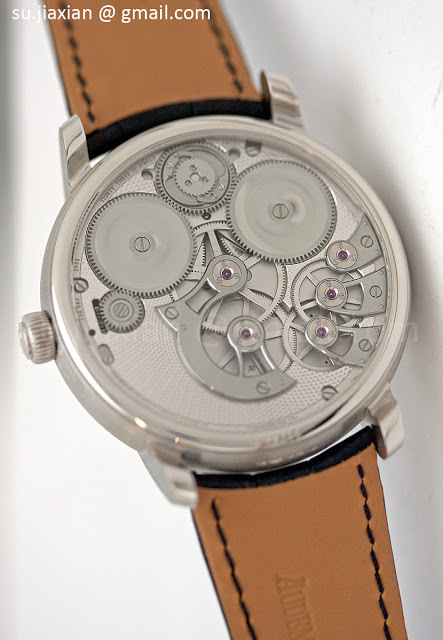 AP Renaud et Papi in Le Locle, where this watch is made, has also done a terrific job with the movement finishing. 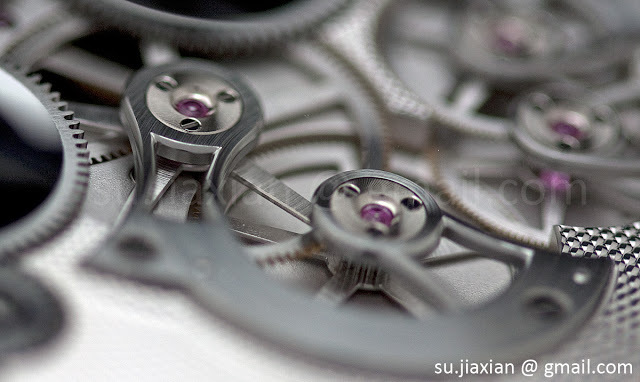 At first glance it does not appear fanciful, everything is monochrome and subtle. 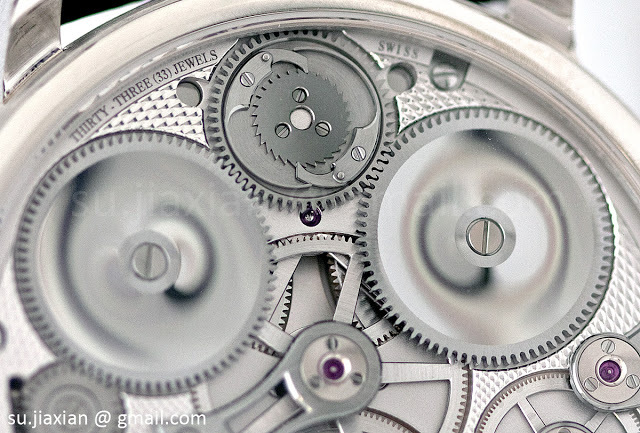 But upon closer examination everything that is supposed to be polished is, and done to a very high standard. 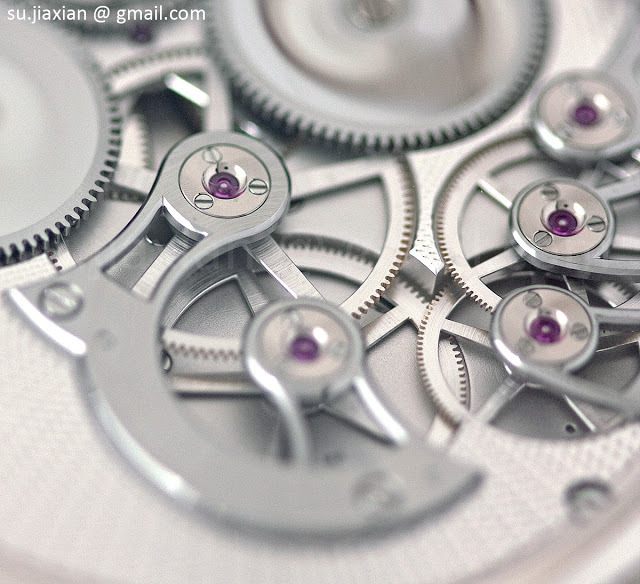 The finish on the barrel wheels wheels is stunning for example. 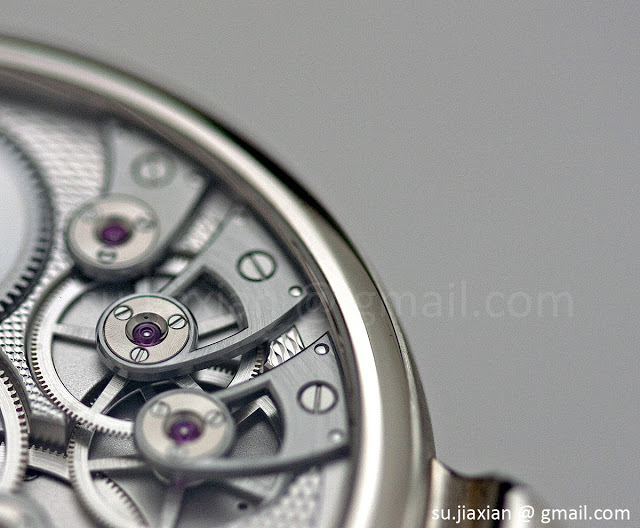 And the base plate is guilloche white gold.